Malcolm was respected as a dedicated socialist and trade unionist by all who knew him. For me he was one of the finest examples of what a socialist should be. Someone who works selflessly to better the lives of others whilst passing on an explanation of the world so that they themselves could participate in their own liberation. We have all lost a tremendous comrade and friend but gained so much by knowing him. I am proud to have called him a comrade and will cherish his memory. Those people who went to Malcolm's funeral yesterday will aready know that many of us were unable to get inside the chapel for the service. I was a long standing colleague of Malcolm in the Croydon Unison Branch. I would affirm comments already made regarding his steadfastness, and devotion to the cause of trade unionism. However, I felt his trade union minded instincts came from a sensce of fairness generally, and a deep humanity. My first contact with Malcolm was that when I had recently started work at Croydon Council and having been made aware of the existence of a UNISON Social Club I went down there with another colleague. Neither of us were at that time UNISON members. I had only just started work at the Council and was considering which union to join (having been previously a member of a print union) I wasn't sure that UNISON was for me. Malcolm was sitting by a desk as we came in to the bar, there was a UNISON sponsored disco on that night, and he was checking membership at the door. He couldn't have been busy as only a small handful of people were there, and it was already quite late. He had a pile of cards which could be exchanged for a drink, and despite the fact we really had no right to be there at all, he signed us in and and gave us a card for a free drink. That was the sort of man he was generous and kind to strangers, (the slogan of the CIU) in practice. My mind was made up that night to join UNISON and since then I had many dealings with him as a Steward, Branch officer and as a member of the Social Club Committee. 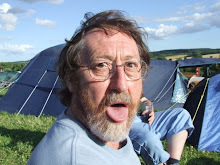 I'm not sure it was the case, as somebody elsewhere in the tributes made to say that "Malcolm was not a joiner of things" he not only joined things he also joined them up himself and with considerable energy. Above all, he had a great spirit of community be it at work, or at home or in the branch. I was personally aware yesterday that the pub we went to afterwards had that spirit of community. I'm personally saddened that the community we have has lost such a great asset. As a Councillor in Croydon I worked closely with Malcolm for years on the Council and Joint Staff Committee, his fire and fight on behalf of his colleagues was second to none. There were many times when I agreed with him and found myself sitting on the employee's fence and not the employer's for which I offer no apology, but it was all to Malcolm's amusement watching my Councillor colleagues and Chief Officers faces when I sided with the Unions. I remember once the then Director of Finance storming out of a meeting because I would not back down over the her lack of consultation with the Unions. Malcolm watched in stunned silence as she slammed her papers on the table and marched out the room with me quick on her heels. Malcolm and I had a laugh and a pint later discussing the whole debacle. We were proven right CFI was a disaster..... a bitter victory. Malcolm once referred to me as Croydon Labour Councils token leftie! I will miss his commitment for the underdogs rights and his belief that every single person had something to add to society. Malcolm was a true socialist and comrade. The world is a poorer place without his like. I remember the enthusiasm with which Malcolm attended the Croydon Equalities Unit's Burns Suppers in Taberner House, apologising profusely for his "Glencoe" surname. Thanks for keeping the union spirit strong. I won’t be the first or last today to observe that Malcolm was a diamond. And like a diamond he had many facets, all of them important to the warm and wonderful human being that he was. I want to say a few words about just one of those facets – Malcolm’s passionate, committed and effective political engagement in the wider trade union beyond his branch. Looking into the diamond of our memories of Malcolm we can all see different reflections. I can see Malcolm stood in front of people speaking – challenging standing orders at UNISON Conference maybe, or asking questions on the Annual Report. Malcolm liked precision in the use of language and if that made him a pedant sometimes, then he was the sort of pedant we need many more of, because if the people in power in an organisation can make sure that a decision is vague and imprecise then they can escape accountability for its implementation. It’s because Malcolm knew this so well that we, his friends, consigned him to the Standing Orders Committee for Local Government Conference, where he had to spend years arguing in private and against the odds so that UNISON members would have a fair chance to express our views. To most people this would have been purgatory. I don’t think that those of us who sent him back there year after year should feel guilty though. I think Malcolm enjoyed those arguments in the no-longer-smoke-filled rooms where the real decisions are so often taken. In fact the last words he ever spoke to me were to tell me to get along to a meeting of the Standing Orders Committee last Monday for an argument about a branch motion. I hope he would have forgiven me for not having been able to make it. Another way in which, looking through the diamond, I can see Malcolm is sat in a Committee – it must be our Regional Committee as I can see the bemused look with which he would greet a particularly poorly argued or inarticulate contributions which he knew nevertheless stood to win a majority of votes from those who probably weren’t even listening to the argument. A friend observed last week that Malcolm could remain calm and continue to argue reasonably in the face of such provocation. I rarely saw Malcolm lose his temper in circumstances in which to have done so might have weakened the argument he was trying to make or support. But I did see Malcolm’s anger from time to time – and I can see it now as another facet in the diamond. You don’t need to know what the disagreement was about to know from those words that Malcolm was angry, as he was when he crossed London to Barnet to support the Fremantle strikers on more than one occasion. I saw that same anger from Malcolm when Conference speakers who couldn’t win an argument would resort to personal and political attacks upon their opponents, or when he saw bullies abusing their power – whether that was at work, in the trade union or in the Labour Party. However, an angry Malcolm Campbell is a small aspect of my many memories. A larger facet of the diamond of memory is of Malcolm supporting fellow activists, as a friend sharing a pint over lunch at Conference, after a meeting in Central London or at a festival. 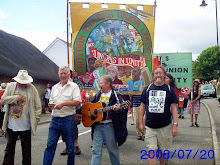 In the few short days since the shocking news that we had lost Malcolm a number of us on UNISON’s left-wing have been sharing our recollections and what stands out as a constant theme is of Malcolm as a true and loyal friend. Thanks so very much for being such a good friend and a canny marra. Malcolm was a diamond; a rare, beautiful and valuable treasure – and whilst we do, and always will, remember the political activity which was so important to him - most importantly of all we remember Malcolm today as our friend. Whilst I sometimes disagreed with Malcolm I had great respect for him & the very hard work he did for others.He will be a hard act to follow. haven’t known Malcolm for very long but when I went away for my first conference he was encouraging and dedicated. As a young member I was confused with the whole process of things but he soon put that right and guided me through the ropes with the rest of the team. He will be missed greatly and my condolences go out to his partner, family and friends.